Robert Rosenfeld (Bob), CEO of HumanGrid, did not study business before starting his consulting firm (Idea Connection Systems). He studied chemistry. While studying at Drake University his major concentration was in chemistry; which required him to get well acquainted with the periodic table of elements. As a coursework elective study, he ventured out into psychology. It was this decision that uncovered what he set out to do for the rest of his career. Being extremely familiar with the Periodic Table and understanding its importance, Bob recounts many conversations with his psychology professors about “why does the field of psychology not have a human periodic table.” His professors believed people are too complex to uncover their many elements. This concept of a human periodic table stuck with Bob and ignited his passion to map out human elements that influence our innovation and problem solving preferences. Bob and his wife Debbie, truly embrace humanity and have seven children of which five are adopted and are of a diverse ethnic backgrounds which spans the globe. 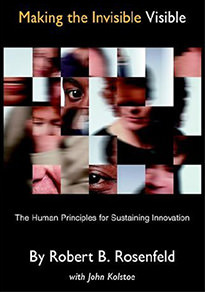 HumanGrid allows everyone to benefit from his pursuit to create it. Bob is an inventor and he continues to invent and collaborate with others to create this HumanGrid. Site Design by Sukhenko Design. Development by Stratejus.